The Korchagin oil field is located in the Russian area of the northern part of the Caspian Sea in shallow waters. 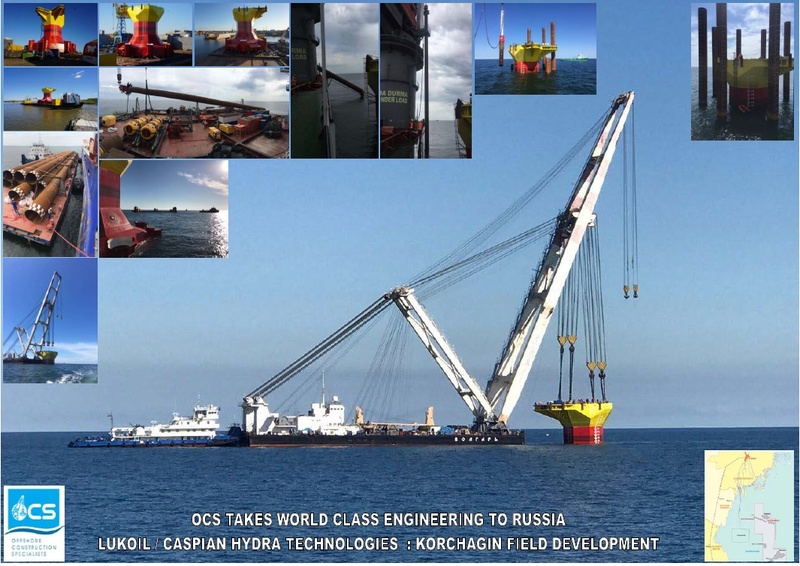 Lukoil awarded the Transportation and Installation of substructure and Floatover of 1 topside to Caspian Hydra Techniologies (CHT). CHT awarded the construction management and installation engineering of the above to scope to OCS.